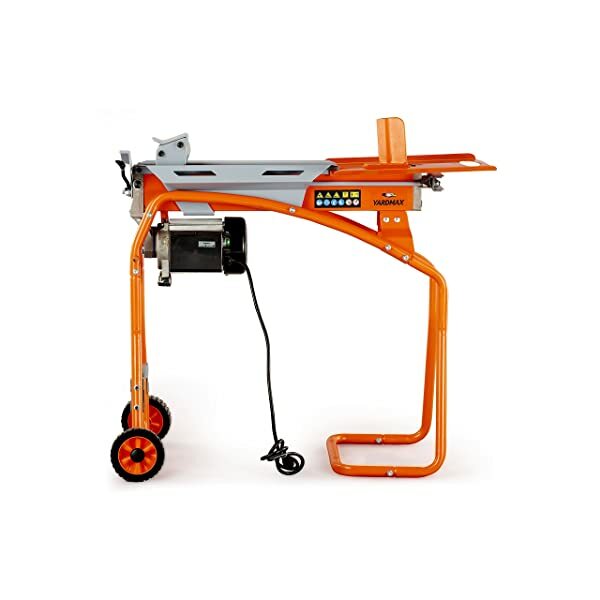 When you are searching out a log splitter to purchase, you might be wondering what the best log splitters for the money are. There are both electric and gas log splitters (wood splitter) on the market and each type will suit different needs, depending on how you want the log splitter to operate. 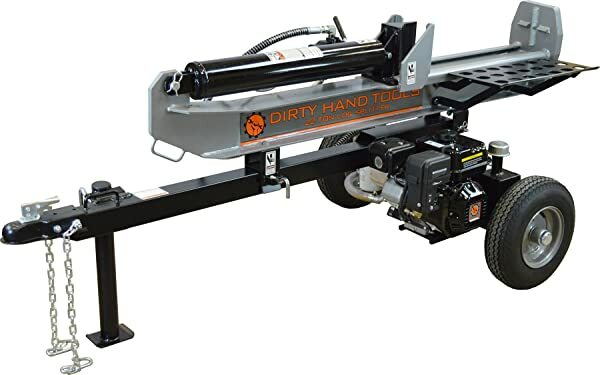 This article aims to give you an introduction to log splitters, discuss what they are used for, and give you a glance at some of the best log splitters for the money in 2019. The log splitters discussed will be both electric and gas varieties. 1 What is a Log Splitter? Log splitters are tools that have the ability to make life easier on the user, particularly if they spend a lot of time working with wood. For example, they can be very helpful power tools if you live in an area where you need to chop down your own firewood from trees. If you are tired of spending hours and hours of doing the backbreaking labor of splitting logs the manual way with an ax, a log splitter can really come in handy for you. Splitting logs the old fashioned way can really wear you out, cause fatigue, and muscle strain. But with a log splitter, you will get it done in a fraction of the time, which is great for those who are busy. You also won’t have to deal with the sore muscles and injuries that can be caused by traditionally splitting logs, which is a real bonus! Another wonderful thing about log splitters is that if you purchase an electric model, you will be able to use it with an inverter generator, so you can use it even if the power goes out! If you are wondering how a log splitter works, exactly, let’s take a look at exactly what these pieces of equipment do, and how they can help you out in your busy life. A log splitter is designed to take round pieces of cut wood, such as trees, and apply a large amount of force to them to split them. Log splitters come in different sizes, and are measured in tonnage, so you should always be sure to purchase a log splitter that is ideal for the largest size log that you have to cut. For example, if you have very large tree trunks, such as those that are almost 2 feet in diameter, you will want to purchase a more heavy duty log splitter, such as a 20 ton log splitter. However, if you have smaller logs to cut, like branches, a less heavy duty log splitter will suffice. 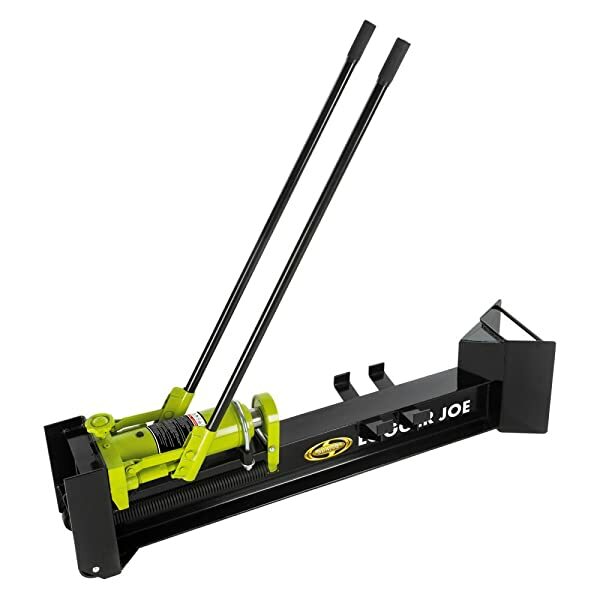 Let’s take a look at the best log splitters for the money in 2019. 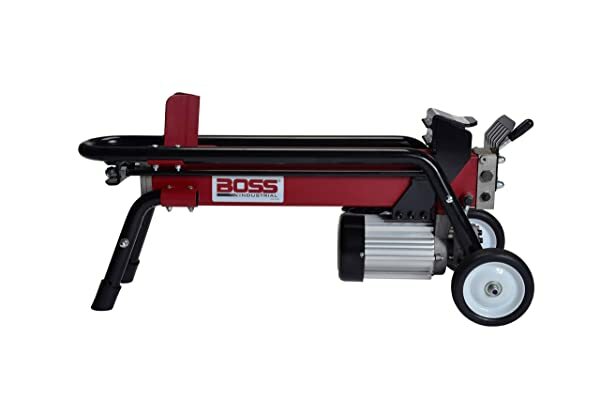 The Boss Industrial ES7T20 log splitter features a two horsepower electric motor that is sure to keep up with you! The log splitter offers up to seven tons of force, helping you split those medium-sized logs with ease. 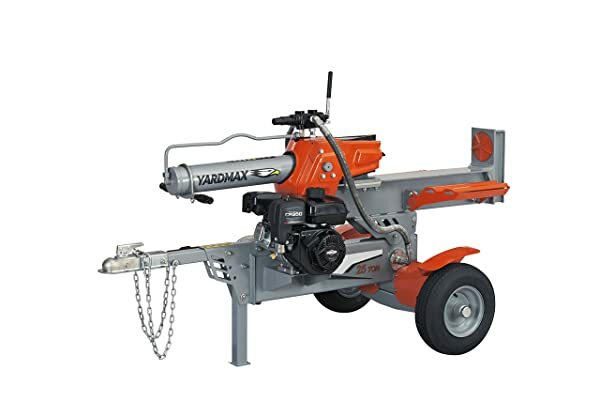 This portable log splitter is perfect for taking around the property with you and catches the logs as you split them so they don’t fall all over the place. The electric motor helps to reduce pollution and harmful emissions that are commonly found with gas and oil-powered units. This log splitter promises one handed operation and a special patented hydraulic system. If it’s too cold outside to split logs, this unit can easily be used both outdoors and indoors, so you can finish up the job no matter what the outside weather is like! This can be used on logs that measure up to fourteen to sixteen inches. 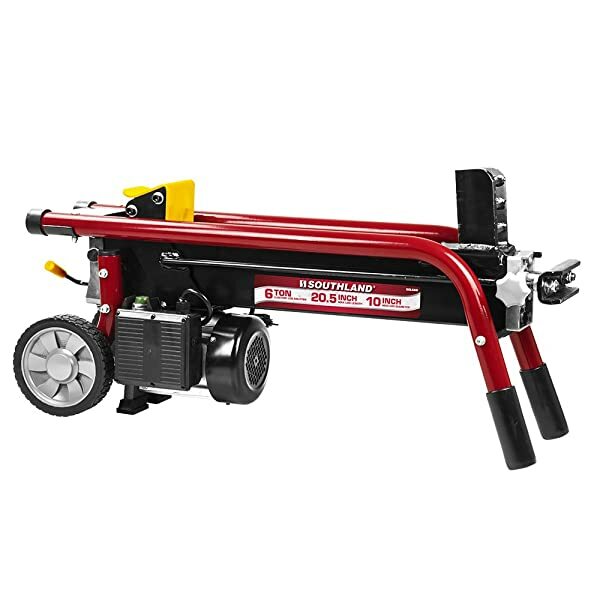 This log splitter from Southland Outdoor Power Equipment offers up to six tons of driving force for splitting those medium-sized logs and branches you have lying around! The electric log splitter has an electric 1.75 horsepower engine, giving you plenty of power to tackle those jobs, whether they are occasional or frequent. 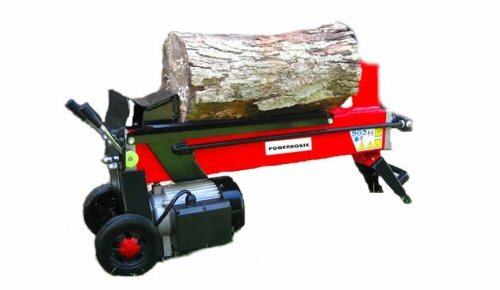 The log splitter features a fifteen amp induction motor and has an eighteen second cycle time for splitting logs. The seven-inch wheels make this incredibly portable, which is great for taking it on the go or to different areas of the property. The built-in stroke limiter can be adjusted so that you can split different size logs, from larger to smaller, with ease. You can even change the position of this log splitter from horizontal to vertical, making it versatile (as well as giving you the ability to store it easily!). 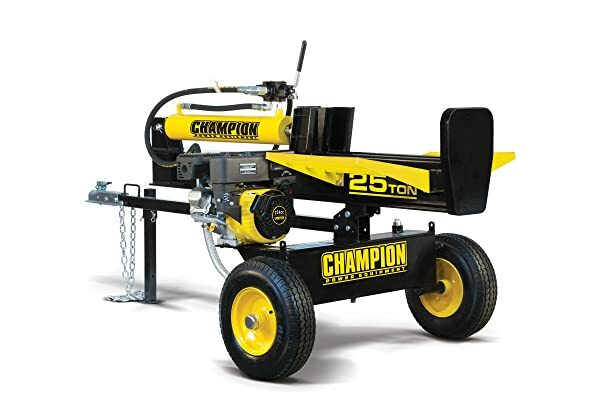 This log splitter from Champion, which is an incredibly well known and reputable brand, is a heavy duty log splitter that can handle even your biggest jobs. This log splitter comes with a 25 ton splitting capability, making it great for those larger logs! The engine is a powerful 224 cc Champion single-cylinder OHV engine, and this log splitter has an impressive 5 gallon tank for gas. You can use this model both horizontally and vertically, and it easily converts to work either way without much effort. This model easily splits logs up to 23.8 inches in size, and up to 100 pounds! The large wheels on the unit make it easy to take along with you, and it can be towed at up to forty-five miles per hour. This model is emissions compliant in all fifty U.S. states. The integrated log cradle keeps logs from falling on the ground before you are ready for them to. Also included is a two inch ball coupler so that you can easily tow it behind your vehicle. This elevated YARDMAX log splitter is an electric log splitter that will help you get your work done and fast! This log splitter sits a little higher than others, making it a great choice for those with problems bending. The five-ton splitting power is great for large branches and small to medium size logs. The stroke limiter is helpful for working with different size logs. This log splitter can accommodate logs up to 20.5 inches in length and 10 inches in diameter. A short sixteen second cycle time allows you to get more logs split in less time, and the two-handed operation makes sure that you are safe at all times. Portability is simple with the attached 7-inch wheels, so you can take this with you with no problems, as it is also rather lightweight in comparison to other models. This model can also be operated indoors, so there is no worrying about the weather causing an issue when you need to get your log splitting done! Electric means you can use it all year, even indoors! This amazing log splitter from WEN can split logs up to ten inches in diameter and up to 20.5 inches in length. It uses a 6.5 ton force to split them, which is equivalent to 13,000 pounds! You can use the log splitter with or without the included stand, which can easily attach to the splitter to make it easier to split logs without having to bend continuously. 5.5 inch wheels help make this log splitter portable and easily to move along with you, and since it is an electric model, you can use this indoors, so you can have freshly cut firewood in the winter! The twenty second cycle time allows you to cut plenty of logs in a short amount of time. This log splitter has the ability to be adjusted for a variety of things, including the size of the log, where you would like to split it, etc. 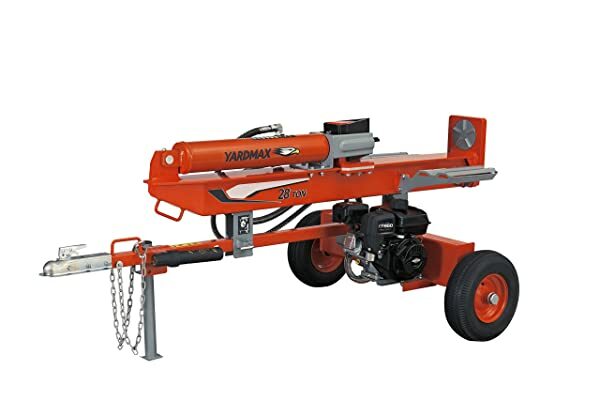 If you are looking for a heavy duty log splitter, this 25-ton log splitter from YARDMAX is the perfect choice for you. It can split very large logs – up to 25.5 inches in diameter and delivers twenty-five tons of force behind each and every splitting. The 6.5 horsepower 208cc Briggs & Stratton engine will have you cutting through the logs like nothing at all! This log splitter can be used horizontally or vertically and is compact and easy to maneuver. While it is on the heavier side, this log splitter is definitely durable and won’t break with constant use. Dual log cradles help you catch the wood after it has been split. The spinner plate rotates the logs being split for you, so you don’t have to rotate them yourself. The 9.7 second cycle time on this model means that you will have more time to do more logs, without having to worry about jamming or troubles thanks to the four-way wedge that is designed for quicker connections. This log splitter from YARDMAX offers up 28 tons of force per every splitting – making it ideal for those difficult jobs that smaller models just can’t handle. This log splitter has everything you need for tackling even the toughest jobs. You can easily cut through logs that are over two feet in diameter, which is much more than you can with other models! This log splitter has earned its place as t he best gas log splitter on this list because of that, and it is a great one to choose if you have a lot of property or will be using it often. The engine delivers 6.5 horsepower, so you know there is plenty of power on offer! The 4-way wedge keeps your log splitter from jamming up, and the spinning footplate rotates the log for you as it splits. This log splitter has a 13.2 second cycle time, which is a great time when you are cutting logs as big as this model can handle. 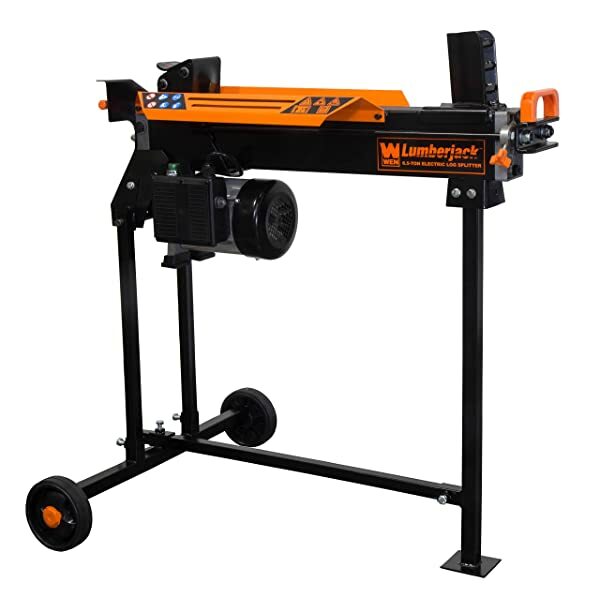 This model is a full beam log splitter and can be used both horizontally and vertically to split logs. Perfect for handling tough jobs that smaller models can’t touch, this Frictionless World Dirty Hand Tools log splitter is perfect! The log splitter delivers 22 pounds of force each time you split a log, and has a 6.5 horsepower engine to really cut through the toughest logs! The 10.9 second cycle time is amazingly fast and will help you get more logs split in less time, so you can focus on other things. If you need to take this along with you, portability is simple thanks to the DOT approved sixteen-inch road wheels attached, as well as the two-inch ball and safety chains. A thirteen gallon per minute pump allows you to fill up with a maximum of 5.6 gallons of gas. The stripper plates are removable and this model also includes a high heat treated seven-inch steel wedge. Medium sized and perfect for a plethora of jobs, this Powerhouse electric log splitter features a three horsepower motor and offers up 7 tons of force behind every splitting. Since it is an electric model, you can feel free to use this both indoors and outdoors, and never have to worry about running out of gas! The general light weight of this splitter (a little over a hundred pounds), makes it easily portable so it can go wherever you need it to go. It can cut logs up to 20 ½ inch in length and up to twelve inches in diameter. This easy to use model is perfect for those who are new to using a log splitter or those who only need one for random jobs here and there. The Sun Joe LJ10M is a hydraulic log splitter that is cordless, requires no gas or oil, and is a great investment for those who are looking for a mid-sized log splitter. This powerful log splitter has a driving force of up to ten tons, making it great for medium sized logs and branches. This log splitter has the capacity to fit logs up to eighteen inches long by eight inches wide. While it wouldn’t be perfect for larger tree trunks, it is great for handling those mid range jobs. The log splitter has a log cradle, which is a small area to keep the cut logs from falling from the device. The included 2.48 inch wheels make this log splitter incredibly portable, so you can take it with you to various locations to cut logs. The bright green color helps you to be able to see it, even in a grassy area. This manual operated log splitter features two speeds to help you get your work done in twice the time! Operating a log splitter may seem like a somewhat daunting task, but it doesn’t have to be difficult or intimidating at all! Whether you are using a gas or electric, log splitters aim for the same job: cutting your logs for you, so you don’t have to chop at them for hours with an ax. As long as you read your log splitter’s instruction manual, watch a video or two on the model, and follow proper safety precautions (such as using gloves, safety goggles, and knowing how to use the tool), you will be able to split logs and have yourself some firewood for winter in no time! The first thing you need to do to use a log splitter is to get your log. Follow the manufacturer’s directions as to what size log you can use in your log splitter – smaller log splitters can only accommodate smaller logs, while the larger ones with more force can accommodate larger logs. Once you have placed your log at the bottom of the splitter, you can turn on the log splitter, and allow it to warm up. If you have an electric model, you might only need a simple button push to get it started up, but if you have a gas model, you will probably have a pull cord. Once you get the log splitter started up, use the log splitter’s lever or button to start driving the ram into the log. The ram will drive force into the log, and the log will crack and split in half, falling into the log cradles (if your model has them) or onto the ground. Once you’ve finished and maneuvered the ram back to the start, you can pick up one of the logs, place it back down onto the bench, and repeat the process, splitting each half once more. After you have finished splitting your logs, simply turn off your log splitter as per the manufacturer’s directions. A log splitter can truly be a useful tool, especially for those who find themselves needing to cut logs on a regular basis (such as for firewood), or those who work in a profession where it is required. They can also be great for those who have joint problems and can’t constantly be exerting the amount of force required to split logs. A log splitter is an invaluable tool that can really make all the difference! Whether you choose electric or gas (electric can even be run off of an inverter generator), they aim to do the same thing, and they are quite similar. Whether you are using the logs for projects or crafts, such as cutting them down to use in wood lathes or even for a trim that you can use an impact driver to secure fasteners to or need them for more practical purposes, they can be quite handy to have. Some are easily portable, some are smaller and great for simple tasks, such as clearing away smaller branches, and others are large and even have DOT approved wheels for transporting on roads. This guide lists ten great log splitters for the money, and each has listed what they are best used for, including the sizes of logs that they can split. Once you purchase your log splitter and learn how to use it, you will be on your way to splitting logs easily!